It is not the lack of time that crushes our family lives; it is the lack of presence, overwhelmed as we are with the tasks, anxieties, and guilt of being in a family. Between working, housecleaning, and parenting, how do we carve out a minute for ourselves? How can we give ourselves to our spouses and children in the conditions we find ourselves in? Gina Bria writes, "This is how: by being present-not in every moment [we're tired enough! 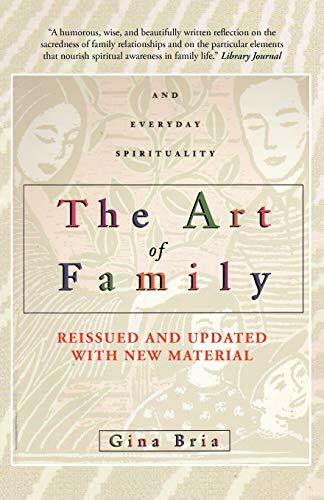 ]-but in key daily activities such as play, spiritual discussions, tender physical attention, and little daily rituals that can see us through the pace of life today to a strong, coherent, lived family life." With a warm, compassionate tone, anthropologist, nutritionist, and public speaker Gina Bria provides ideas for creating families that withstand the pressures of modern society. The key is creating a personal family culture around the domestic rituals associated with family, such as making your home your true haven from the outside world, really understanding how to play with your children and in your marriage, caring for each others' bodies (young and old!) and finding a spiritual path to travel together. In essence, Gina Bria shows us how to assign meaning to everyday tasks, which builds a family that withstands conformity, rejection and conflict. "It is not the lack of time that crushes our family lives, it is the lack of presence, stricken as we are with the tasks, anxieties and guilt of being in a family. But in between what we all struggle with: the parenting, spousing, cleaning up, working, and carving out a minute or two for yourself, how do you give yourself to your children in the conditions you find yourself in? This is how: by being present--not in every moment (we're tired enough!) --but in key activities such as play, spiritual discussions, tender physical attention and little daily rituals that can see us through the pace of life today to a strong, coherent, lived family life." Gina Bria knows how to talk to families and make them listen and think. With a tone that is at once authoritative and compassionate, she gives us the steps for creating families that withstand the pressures of modern society. The key is to create a personal family culture around the domestic rituals associated with family, such as making your home your true haven from the outside world, really understanding how to play with your children and in your marriage, caring for each others' bodies--young and old, and finding a spiritual path to travel together. In essence, Bria shows us how to assign particular and special meaning to the everyday tasks that make up our home life and in so doing, build a family that can withstand the daily example of conformity, rejection and disillusion. Gina Bria is cultural anthropologist of ritual, kinship, play and their modern usage. An independent scholar, speaker and author, she translates scholarly research for practical use. She was designated a Real World Scholar with World Evolved, Inc. a new media enterprise, and she is a guest facilitator at T.E.Dx.N.Y. . Her work with ritual, thinking and play has appeared in many forums and sites, including New York's Grand Central Station. She is the founder of The Art of Thinking Project, a guided-thinking partnership, currently linking ritual and technology as an extension of the human form. Her current research and consulting focuses on mind/body integration, brain science, and nutrition. 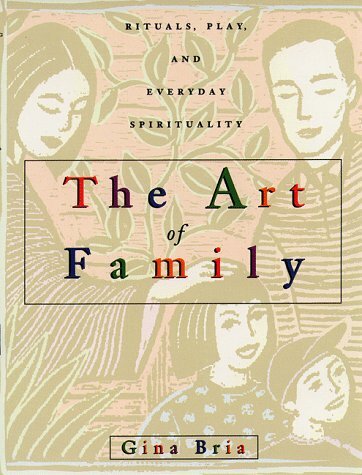 uthor of The Art of Family: Rituals, Imagination and Everyday Spirituality (first published by Doubleday, Bantam, Dell, 1998), hers was one of the first books featured for sale in Starbucks around the country. Her writing has also appeared in The New York Times, N.P.R. Audio Journal, Redbook, Working Mother, Mars Hill Review, and academic journals. This second edition of her book contains new material written since the book first appeared 13 years ago. More information on Gina can be found at www.artofthinking.org.